gości powierzyliby ONLINE CROATIA wybór kolejnych wakacji. gości polecililiby kwatery prywatne przyjacielowi. "Lovely comfortable apartment with everything you need for the holiday. Balcony views straight from the postcards! Friendly helpful owner on hand if needed but not at all intrusive. A really lovely week in this fabulous city. Recommended! ." "Die schönste Wohnung die wir in 20 Jahren hatten, mit einem unbezahltem Blick aufs Meer!!! Sehr nette Vermieter!rnFantastischer Urlaub!rnFamilie aus Deutschland.."
"This was like being home in some ways. We were comfortable in a lovely home surrounded by fruit trees. Cherries came in ripe just at the right time for us. Was only a short walk to the beach and away from the hustle & bustle of Okrug Gornji\'s main beach but not too far that you couldn\'t easily walk there. Our hosts, Mirjana and Ivan were the best hosts we have had at an Airbnb stay. They even BBQ some fresh fish for us and made us dinner on our last night. Wonderful people. We will definitely be back to this place. Loved it!." "Appartement très agréable, bien situé, à seulement 15 min à pied de la place Pile (porte de la vieille ville). Il y a tout le nécessaire à l\'intérieur pour profiter pleinement de son séjour. La terrasse avec vue sur la mer est parfaite. Aussi, un grand merci à Rosetta pour son accueil chaleureux et sa disponibilité tout au long de notre séjour.."
"Wygodne mieszkanie dokładnie jak na zdjęciach ,idealne dla dwóch rodzin z dziećmi z przepięknym widokiem na morze .Cicha spokojna okolica.."
"Wunderschön gelegenes Apartment. Die Vermieterin ist sehr hilfsbereit und sehr bemüht, dass sich ihre Gäste wohl fühlen. Die große Terrasse ist echt super, mit Blick auf das Meer. Das Internet hat in Kroatien generell eine sehr gute Geschwindigkeit (20 mbs Download; 10 mbs Upload), genauso wie die WiFi Verbindung im Apartment (schön schnell). Eine Waschmaschine gibt es dort auch, die kostenfrei genutzt werden darf und super einfach zu bedienen ist. Das Apartment liegt im alten Teil des Dorfes Okrug Gronji, welcher Charme hat. Ein paar Geschäfte gibt es in der Nähe des Apartments und zur \"Copa Cabana\", dem Strand, gelangt man schnell. Einziges Manko: auf die Insel Ciovo zu kommen, bzw. diese wieder zu verlassen, da die Straße zum Festland nur über die Inselstadt Trogir geht; mit dem Roller aber (mehr oder weniger) kein Problem. Dieses Apartment können wir jedem sehr empfehlen!!!." "Tutto fantastico: posizione, caletta sotto casa, appartamento, isola di Kolocep! Lo raccomanderei senz\'altro!." "Wir können das Apartment amalija als Familie nur empfehlen! Es war sehr sauber und gemütlich und die Vermieter sind sehr nett und bereiten einem ein sehr schönen Aufenthalt . Wir werden mit Sicherheit da noch mal Urlaub machen. Von uns gibt\'s da die Bestnote 1**** Fast hätte ich es vergessen, die Gastfreundschaft ist einfach super. Bei der Ankunft erwartete uns eine kalteplatte mit frischem Brot, Obst und gekühlte Getränke waren auch im Kühlschrank sowas bekommt man nicht überall. Es gab reichlich frische Handtücher und gute Tipps der Vermieter wo man gut baden kann und die Strände sind auch sehr schön!! ." "The apartment was fantastic. We really enjoyed staying here, one of the best places we have stayed. The pool and outside the apartment was so nice and the view was incredable. I would also like to thank the owners, who were so kind and helpful and they were so nice. Had never used online croatia before, however the service was excellent, with great communications and the holiday arrangements were very easy, and would highly recommend the company. I would highly recommend the apartment, and we would love to return next year! ." "Apartment is amazing, ideal for families with children and groups of friends, we had there a wonderful time :)." "Sehr schöne Wohnung...sie ist super Ausgestattet.Wir haben uns sehr wohlgefühlt,da sie sehr liebevoll eingerichtet ist. Die Familie Przina hat sich rührend um uns gekümmert wenn wir Fragen hatten.Die Aussicht vom Balkon ist traumhaft. Wir haben gleich wieder für nächstes Jahr gebucht.Also ein gelungener Traumurlaub. Liebe Grüsse Cliff und Ute.."
"There is only one word to describe the Aurora apartment in Gruz port it is totally amazing we were welcomed with a lovely refreshing drink after a long journey the family were so welcoming the apartment was lovely it was so clean and fresh there was everything you need and the views were fantastic there was a pair of binoculars and you could watch the cruise ships coming and going. On Sunday we were given the most wonderful homemade Croatian cake which was lovely and we also arrived home to baskets of fresh fruit picked from there fruit tree.We were given lots of advice on buses and places to go nothing was to much trouble.On the day we were leaving given sherry and cake which was lovely and we were accompanied to the taxi it was a tearful goodbye I would recommenced this apartment we felt that we were looked after like one of the family cant wait to go back thank you to Margi and her team for there excellent attention ." "Das Apartment war sehr schön. Die Terasse mit Meerblick hat uns besonders gut gefallen. Ana ist eine tolle Gastgeberin. Wir hatten einen ganz wundervollen Urlaub in Kroatien. Wir können jedem empfehlen diese Ferienwohnung zu buchen. ."
"The apartment is awesome! Beautiful and clean. The position is PERFECT you have all in a 200 m radius. 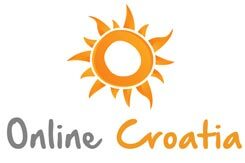 Definitively book here with online croatia. Can t imagine a better place except maybe for old town center :p (in that case prepare your wallet) ." "Apartment Santini was everything you could want & more. Amazing views, comfortable beds, fabulous location & parking. We thoroughly enjoyed our short stay there and cannot wait to come back. Thanks Sanja! ." "This apartment was perfect for the 2 of us! In addition to being very cute & clean, the owner went above and beyond making our stay very enjoyable. The location is great, Lapad Bay, which ended up being our favorite place to swim, is only about an 8 minute walk away. There are also great restaurants nearby and a market and cafes with wonderful coffee. Also, one of the main bus lines and taxis are right out front to get you anywhere you need to go. I recommend this place to couples and can’t wait to stay again on our next visit. Thank you all for all your wonderful help in making our time in Croatia so enjoyable! Kelly & Rose ." "This is a beautiful apartment, with plenty of room for a family of four people. It is well laid out well equipped, but the best part of it is the family who own it, who are friendly, helpful and wonderfully welcoming. On several occasions during our stay they gave us fresh fruit (tomatoes, peppers, grapes) from their own garden or the gardens of relatives. On our arrival we were treated to home-made fruit juice which was delicious and refreshing. Gruz is, in my opinion, an excellent part of Dubrovnik to stay. You can walk into the Old Town in 30 minutes (less if you take the bus) and there are very good facilities locally too - restaurants, fish and vegetable markets, food shops etc. - perfect when you\'re in self-catering accommadation. Being close to the port is great for boat trips, and the beaches at Lapad and Babin Kuk are within walking distance. All in all, a brilliant place to stay, and I\'d recommend this apartment very highly.."
"L\'appartamento è alle porte della città vecchia a pochi minuti a piedi (anzi di scalini!) dal fulcro di Dubrovnik. Gode di una vista mozzafiato sulla torre Minceta ed è equipaggiato con tutti i confort. La proprietaria Marija è molto simpatica, gentile ed accogliente e l\'atmosfera che si respira è davvero familiare e conviviale. Esperienza davvero indimenticabile!!!!." "Très bel appartement... Desa est une hôte dévouée pour ses locataires, c\\\'était très sympathique!rnnous avons profité de la mer et des iles innombrables...les Croates sont très aimables avec les vacanciers ....même en pleine saison, ce qui n\\\'est pas le cas partout! ." "Apartman je jako lijep, gazde su jako simpaticni i ljubazni. Imali smo cak garazu za auto. Ako ikad opet budemo htjeli ljetovati na Ciovu, onda bih se opet jako rado smjestili u ovom apartmanu.."
"Eine sehr schöne Ferienwohnung, mit allem was man für einen schönen Urlaub braucht. Zwei schöne Balkone mit wunderbaren Ausblick und Liegemöglichkeiten. Stand ist zu Fuß in 3 Minuten zu erreichen. Unsere Kinder (4 und 9 Jahre) hatten hier jede Menge Spaß, vor allem durch den tollen Sprungturm. Supermarkt inkl. Bäcker sind gut zu Fuß erreichbar (ca. 5 Minuten). Gaststätten sind ca. 500 Meter von der Unterkunft und in großer Vielzahl vorhanden. Wir hatten einen super Urlaub und eine tolle Erholung, was auch den tollen Vermietern gelegen hat, die uns, falls gewünscht mit Rat und Tat zur Seite standen. Wir sind als Fremde gekommen und als Freunde gefahren. Wir kommen wieder!!! ." "Apartment is very nice...excellent location, hosts are amazing! Always happy to answer any question or resolve any problem. Apartment is clean, safe and away from main road but very close to beach. I would definitely use it again if I\'m going to visit Croatia. ."
"Bonjour, La maison était conforme aux photographies, très propre, très agréable avec vue sur la mer. La propriétaire également était très sympathique. Excellent séjour. Nous relouerons l\'année prochaine avec votre agence.."
"Sehr schöne Wohnung mit sehr guter Ausstattung. Es ist alles vorhanden und sehr geräumig. Der sehr große Balkon mit dem Ausblick ist toll. Die Außenanlage mit Pool, extra Grillraum einfach klasse. Der Vermieter ist sehr, sehr nett. Man kann die Wohnung und das Haus nur empfehlen. ."
"Sehr schöne Wohnung... Einfach nur klasse." "Jesteśmy bardzo zadowoleni. Apartament z fajnym tarasem z widokiem na morze. Wymarzony dla 6 niezależnych par lub dużej rodziny. Trzy sypialnie w tym dwie z samodzielnymi łazienkami i jedna wspólna przy trzeciej sypialni. Wyposażona kuchnia z klimatyzacją . W pokojach wiatraki nad łóżkami Do plaży miejskiej około 300 metrów zejście łagodne wewnętrzną drogą i pod wiaduktem magistrali lub bliżej 50 metrów do mniejszej plaży bez łagodnego zejścia. Właściciele przesympatyczni i gościnni. Polecam." "Apartment is very nice...The owners are extremely friendly and helpful. We enjoyed the location of the apartment in the village. You can make great walks along the beach. We recommend the place strongly.."
"When we decided to spend holidays in Okrug Gornji, we wanted to reserve some apartment next to \"Copacabana beach\". We were here 2 years ago and this beach is one of the best, what we have ever visited. Lots of bars and life, but not so much people in the water and dirty water. We found this apartment, only few meters walk from the beach. This apartment was really, really clean. Usually, when we arrive somewhere, we clean everything - because of our little children. But here, we didn\'t need to clean it up. Equipment were very nice and clean, there was everything, what we need. Hosts are very nice people, they helped us with everything, what we needed and asked for. If I want to find something, what I miss, or with what I was not satisfied, I really can find nothing. Usually I don´t write reviews, but now I really must, because this apartment truly deserve it. "Both during the booking of the apartment and during the stay have we faced a fantastic service. The apartment itself meets our expectation, or even more than our expectation. It is very hard to point any drawback expectation, other than the vacation last too short. Sure we will be there again. ."
"Everything about this apartment and the booking process was far better than expected. The apartment was immaculate, it\'s location is ideal (amazing view, quiet, yet close to beach and amenities) and Croatia Online could not have been more helpful. It was a fabulous holiday, I highly recommend this apartment!." "Apartment is very nice...owners were amazing to us! This apartment is great for people with kid(s) because they get their own room and you can get to the washroom without disturbing them while sleeping and the patio is the best hang out spot!! We loved it!!!." 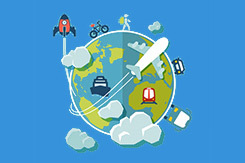 "Wir waren rundum zufrieden und haben einen tollen Urlaub verbracht. Das Appartment war sehr schön und alles super sauber. Wir haben den Meerblick vom Balkon aus genossen. Praktisch war das es zwei Seiten Balkon gab. Zum Strand sind es nur ein paar Meter. Restaurants kann man auch zu Fuß erreichen. Das Appartment ist ruhig gelegen und trotzdem ist alles zentral zu erreich. Danke für den schönen Aufenthalt. Gerne wieder. Ferlein ." "View from apartment was amazing and panoramic, lovely big balcony. Ana and Mirko the hosts were so lovely and made us feel very welcome. Lovely spot overlooking the beach and really close to ferry boat to Trogir. We absolutely loved it in Okrug and watching the sunset going down each evening was beautiful. Will definitely be back and staying with Ana and Mirko in Apartments Bralo 4. ."
"Super tolles Appartement für erholsame Tage in Dubrovnik mit fantastischer Lage und tollem Balkon. Sehr hilfreich auch die Garage für diejenigen, die mit dem Auto anreisen.."
"Sehr freundliche Vermieter und eine sehr geschmackvolle, moderne und hochwertige Einrichtung (genauso wie auf den Fotos). Wir fühlten uns sehr willkommen und wie zu Hause. Ein perfektes Urlaubsdomizil. Vielen Dank für die Gastfreundschaft!." "Very much endorse previous peoples comments. The owner was very very willing to please and a pleasure to deal with. The appartment was spotless, and the facilities were all in good condition. The view out of the window was spectacular and all what we had been told was absolutely accurate. Thank you for a wonderful holiday.."
"We had a lovely stay in apartment Tomislav! God beds and a beatiful terrace, shady and sunny and with a fantastic view. Kitchen is very will equipped, even with a dishwasher. Best of all: the owners, their daughter and granddaughter. Then were all very welcoming, nice and helpful and met us with cakes and something to drink, and grandmother Ana baked her very best cake for the birthday of one of us and brought him the cake together with champagne. What a surprise! Then were all so nice and the atmosphere in the house was always so friendly. 100 m away was a small supermarket and a pizzahut, and if we went downhill and uphill Adria Bistro had tasty food. Therese also was a beach bar serving food. We had a lovely stay! ." "Die Lage ist toll: ruhig und zentral." "Nessuna osservazione, semplicemente stupendo ! ." "War sehr schön würde wieder urlaub dort machen.."
"Super Lage, nette Vermieter, angemessener Preis, war einfach gut.."
"We were very happy with how well the whole booking process was handled, and the accuracy of your on-line description. We received very friendly and helpful service, on arrival and departure. The apartment was clean and comfortable, and very well located. Thank you for a very relaxing and enjoyable visit.."
"It is very nice apartment, light and airy. Plenty of room and spectacular views from the balcony. There are 107 steps which was fine for us but would be difficult for elderly, disabled or young children. We would certainly rebook the apartment in the future and Alenka was very helpful. ."
"Apartman je odlican smjestaj za dvije osobe koje zele imati blizu plazu i takodjer autobusnu stanicu za stari grad. ."
"It is great apartment and ideal for friends, big family or two families. Owners are helpfull and very friendly. Could not ask more.."
"Lijep i čist apartman, ljubazni domaćini, izuzetan pogled sa terase.."
"It was a very nice apartment and the owner was lovely and took great care of us during our stay.."
"W tym roku byliśmy drugi raz. Zadowolenie w 100%, właściciel bardzo miły. Polecam dla rodzin z dziećmi bardzo spokojnie do sklepu bardzo blisko i na plaże też. Apartamenty przestrzenne, czyste i w pełni wyposażone. Polecamy. POZDRAWIAMY WŁAŚCICIELA. Maja i Darek z Polski." "Wir haben schon sogar diese Wohnung unseren Nachbarn im Internet gezeigt. Alles war super. Die Komunikation hat gut geklapt, unsere Fragen wurden gleich beantwortet. CROATICA ist freundlich und hilfsbereit. Ausstattung 5, alles ist da, was man in Urlaub braucht Lage 5, man kommt leicht mit dem Boot überall hin, Einkaufsmöglichkeiten gleich in der Nähe Strand 5, ist nicht überfüllt, Wasser super sauber Man wird sehr gastfreundschaftlich empfangen, es fehlt einem an nichts. Das Appartment ist sehr sauber, Aussicht von der Terasse einmalig. Es war ein toller Urlaub, würden noch einmal hinfahren. Vielen Dank für alles.."
"velmi pěkný byt...pan majitel byl velmi vstřícný a byt byl velmi čistý a bylo v něm vše, co člověk potřebuje." "Apartman je jako lijep i čist, te je vlasnik bio iznimno susretljiv i ljubazan.."
"Being so close to Dubrovnik old town was great, the view from the balcony and patio was absolutely superb and very spacious. The owner who lived next door was incredibly friendly and welcoming and the apartment itself was perfect for our family - the only thing to be aware is that Dubrovnik is hilly, so be prepared for quite a few steps up and down to the town, if you\'re not up to it, you can easily catch a local bus. We would consider returning in the future.."
"Appartamento molto bello… ma necessaria auto propria o a noleggio va indicato per onestà ." "Supernice owners, really kind - would book this apartment again just because of the owners!! The apartment is great, with a good location. We were two young couples in the apartment, the music on the porch had to be quiet at eleven, just so know this before you are booking it. But the places in the city is open at that time so it was never a problem for us. Will recommended this for our friends and family.."
"Beautiful appartment, comfortable and spacious, with a large balcony. Perfect for a family with children. Beaches ad groceries very close by, and the owners were very friendly. Would definitely recommend it!." "Cute, comfortable, great view and pretty good location - I love it!." "Der Urlaub in Kroatien hat uns sehr gefallen! In allen Sachen können wir mit 5 punkten bewerten! Familie Botic ist sehr gastfreundlich, Apartment ist gut ausgestatet und weiter zu empfehlen. In der Ausstattung fehlte nur eine Kafemaschine, alles andere war topp! Dalmatinien ist die beste lage in Kroatien! Urlaub in Kroatien jeder Zeit wieder! Das haben uns unsere Freunde empfohlen, und wir werden es weiter empfehlen.."
"Sehr gemütliche und gepflegte Wohnung, blitzsauber und entzückende Vermieter - sehr empfehlenswert!!!." "Très bel appartement. Idéalement situé par rapport à la vieille ville, et pourtant très calme. Merci à toute l\'équipe, pour votre efficacité.."
"dobré ubytování v poměru vybavenost cena." "Very nice appartment with beautiful view, enough space, very kind hosts and nothing to complain! ." "Très bel appartement, central, à deux pas de la vieille ville mais au calme, avec vue sur la mer. Propriétaire de la maison très sympathique." "Appartement de tout confort, situé à un emplacement très pratique (plage, commerces, près de l\'aéroport et de l\'autoroute...) ; propriétaire très accueillante; séjour parfait !." "Sehr nette, freundliche, hilfsbereite Vermieterin. Appartment sieht genauso aus wie die Fotos, die im Internet stehen. Appartment war sehr sauber und mit allem nötigen ausgestattet! Wir würden diesen Appartment wieder Buchen. Alle Einkäufe waren sehr gut zu Fuß erreichbar genau so, wie die Altstadt. Appartmenlage war perfekt für uns.."
"Sehr groß,schöne Aussicht vom Balkon, Zentrale Lage, sehr sehr nette und hilfsbereite Vermieter!!!." "Very kind, net and helpful owners. Appartment was clean and comfortable. Beautiful view from the terasse.."
"Appartement super bien situé. Propriétaire agréable. RAS.."
"Bel appartement. Endroit calme.Bien pour les familles.Proriétaires très sympatiques. Besoin d\'un véhicule. Manques lampes de lecture dans chambre à coucher." "Duży, czysty, zadbany apartament, bardzo cicho. Przemiła gospodyni. POLECAMY !!!." "Eine Tolle Ferienwohnung für 4 Personen, die nur zum Übernachten da sind. Für längeren Aufenthalt ist die zu klein. Balkon mit Meeresblick, der Blick selber wir zum Teil vom Haus davor und der Bar an der Strandpromenade verdeckt. Die Lage sonst ist sehr gut.."
"Nice and clean! Good position for beach on both sides of island. Verry nice host!." "Soba je bila čista i divno smo se odmorili..."
"Very nice apartment, in excellent location! And landlady Marija was very nice,welcoming and helpful with us! Thank you!." "It is very nice apartment, good position, not far from sea and promenade. We liked this place :)." "Sehr schöne großzügige Wohnung mit einer wunderschönen Aussicht von der Terrasse über das Meer. Die Vermieter sprechen Deutsch und sind sehr freundlich und hilfsbereit.."
"It is very nice apartment ...It was spotlessly clean. Very modern and comfortable. The owners were very helpful and friendly. We were given fresh vegetables from the garden every day and made to feel very welcome. In a very good location. Beautiful views from the balconies. It takes just over half an hour to walk to Trogir. There are buses but they don\'t run very frequently. Good Wi-Fi connection. Washing machine was very handy. I would definitely recommend this apartment to anyone. The only thing to be mindful of is the very steep walk up to it. Also I would ask the owner to arrange for a taxi from the airport as our taxi driver really struggled to find it. Thank you for a wonderful holiday!!." "It is a lovely and highly recommendable apartment that suited all of our needs and we had excellent hospitality.."
"Super appartement très bien équipé dans lequel nius avons passé d\'agréables vacances en famille. ."
"Bardzo ładne mieszkanie. Bardzo mili gospodarze.."
"Möblierte Wohnung im Durchschnitt, aber die Aussicht vom Balkon wunderbare!!! ." "It is very nice apartment. We really enjoyed staying there. Nice and friendly host at Milas 6 - and very friendly people everywhere. We have already recommended to friends in DK.."
"Lovely apartment in a beautiful location with superb views.."
"Apartman je jako lijep i odlično uređen. Domaćini su super ljubazni i na usluzi.."
"bel appartement ayant beaucoup de charme doté d\'un excellent confort.."
"Krásný výhled z terasy. Dům je udržovaný, paní majitelka je moc příjemná. Foto reálné. Moc jsme si to užili.."
"Très bel appartement et très propre. Superbe vue et excellent accueil par les propriétaires…." "Oferta zgodna ze stanem faktycznym,bardzo sympatyczni właściciele,ładna plaża,nie było problemu z miejscem .Fajne miejsce dla chcących pojeżdzić rowerem-objechanie wyspy to około 30 km.."
"velmi pěkný apatrmán, vybavení na úrovni přesně dle prezentace, milá a ochotná majitelka, hezká lokalita." "It is very nice apartment ...i can recomend that apartment for everyone especially for family with child.."
"Very nice landlord. Friendly place.."
"This apartement was perfect for us! Nice and clean, two separate bedroms, modern kitchen and a balcony with a nice view. Short walk to the beach, supermarket, restaurants and boat and bus stop. Owners are kind and helpful.."
"Very nice apartment and owners.."
"Très bel appartemet. Au calme. Gordanan, la propriétaire, est tres gentille et au petit soins pour vous. Clim super, tres grand balcon avec une belle vue.."
"Bardzo ładne, wygodne i dobrze wyposażone mieszkanie. Przyjemnie zacieniony taras. Mili gospodarze.."
"Bien situé et fonctionnel Tr?s bel appartement…." "Lovely apartment, owners daughter was very helpfull, lovely views, hard work walking up the hill from beach on a hot day.."
"Sehr nette Vermieter alles völlig entspannend hat uns sehr gut gefallen!." "Appartamento bello, tranquillo, bella posizione, proprietari molto cordiali e disponibili. Consiglio il soggiorno!." "Tres bel appartement tres bien situe avec bien situe avec tout confort…et accueil tres sympathique." "Tout à fait conforme à l\'annonce - propriétaires très accueillants - très bonne qualité de l\'habitation." "Apartament was really great! The rooms was clean, nice, with a beautiful view. But the best was the owner and his wife! There are sooo great! Funny, helpfull, and always smile! I am m sure we will be back here someday... kind regards and thank you for great holiday!." "Appartamento molto bello, proprietaria molto gentile e ospitale. 300 metri e ci si trova nella parte più bella di Cavtat." "Very warm and welcoming owners.."
"Très bel appartement, agréable et confortable." "It was perfect apartment for our short stay in Croatia. Location was perfect and the balcony over looking to the sea and old town was wonderful. The apartment itself was just as it was described and the owner next door was really helpful. We did not mind little exercise on the stairs climbing up from the town, but I would not recommend this apartment for families with small children or people with difficulty in walking.."
"Bardzo ładne mieszkanie dobry kontakt z właściciwlami." "Propriétaire très sympathique. L\'ensemble très simple et fonctionnel." "Das Appartment ist ein Traum. Es ist alles so wie beschrieben respektive noch viel besser. Sehr zu empfehlen. Sehr erholsamer Urlaub + sehr aufmerksame und liebevolle Vermieter. Herzlichen Dank für die wundervollen Tage. 5 Sterne +." "Appartamento corrispondente alle aspettative bello confortevole e pulito . Favorevolmente colpiti dal proprietario molto gentile e attento. ."
"apartman je u mirnoj okolini in nudi dobre uslove za miran godišnji odmor... priporučujemo!!!!." "It is a very nice apartment ...clean and comfortable." "Schöne Wohnung in guter Lage und vor allem super nette und hilfsbereite Vermieter!." "It is very nice apartment ...with excellent location and friedly staff. Would recommend this to all who love peace, nature and simply way of living.."
"Great apartment and very helpful ower couple.."
"We were very happy with the flat. The location is fantastic, the equipment of the flat, especially of the kitchen was very good and the host were very friendly and helpful.."
"The apartment was lovely. The hosts were wonderful and extremely helpful. It was a safe location within a 10-15 minute walk to the old town.."
"Appartement simple mais confortable. Les propriétaires sont très sympas et de bon conseil." "Small & basic but with a large terrace giving fantastic views of Lokrum Island & the Old City.Only 10mins walk to harbour & city walls so no need for a car.."
"The apartment is in a quiet location near shopping, restaurants and beach. You can walk to everything easily and there are frequent buses to old Dubrovnik if you want to go there. The apartment is very clean and comfortable with all the modern conveniences. There is a garden patio with table and chairs for dining outside if you like. The owners have added many nice touches to make you feel at home. I would definitely rent the apartment again if I return to Croatia.."
"Sehr schöne Wohnung mit einem fantastischen Ausblick. Die Wohnung war ruhig gelegen, allerdings nichts für Urlauber die kein Auto dabei haben, mit dem Auto war alles schnell zu erreichen, ohne wären wir aufgeschmissen gewesen.."
"Very nice apartment, close to the beach, quite place...."
"It is very nice and new apartment.."
"Sehr schöne saubere Wohnung, toller Balkon mit schöner Aussicht, ruhige Lage, nah am Ort gelegen mit guten Lokalen.."
"It is very nice apartment, but what really made our holiday. Was the lovely family Sturica who owned the apartment. They picked us up at the airport, too us to the supermarket, handed in homemade wine, creeps, soup etc.. They really are the kindest people...."
"The apartement is great, very well located near the old city. We stayed two weeks and we were satisfied with it. We recommend it!." "Petit appartement très bien situé : proche du centre de Trogir par un chemin piétonnier, belle vue sur la mer, envionnement calme, très bon accueil des propriétaires, petites plages de gravillons à proximité.."
"appartement qui doit être remis à jour pour les appareils électroniques et médias.propriétaire très sympa." "Très bel appartement… Propre et bien agencé. Bonne situation, malgré de nombreuses marches. Une excellente adresse!." "The apartment was very clean & had everything you would need for a self catering holiday.."
"Appartement très agréable,superbe terrasse avec une très belle vue sur la mer.La jeune femme qui nous a accueilli a été très sympathique et serviable. Très bon séjour pour nous a la villa Maslina 2." "It is a simple apartment in a splendid location & Marija & her family are wonderful. ."
"Apartment Mara is in a great location with AMAZING views. The key holder was extremely friendly and accommodating. We were even greeted with fresh grapes from her garden and a bottle of wine. We had a wonderful time in Dubrovnik and look forward in visiting again. Thank you.."
"Great apartment, very comfortable and well equipped with wonderful view, ideal location. Owner very helpful. Would recommend very highly.."
"Me and my family spent the best 12 days in Villa Di. Apartment Sky and Apartment Flower are perfect for a bigger group of people. Everything was exactly as it was said on the website: rooms, kitchen, bathroom, swimming pool. Good localization with a beautiful view. 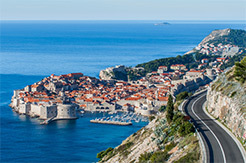 I gladly recommend Villa Di. ."
"We had the most wonderful stay in Dubrovnik!! The apartment was perfect for us with great air conditioning and enough beds!! The location was close to the bus, a market, some restaurants, and the water! Violet and Joseph were very gracious hosts!! ." "Ideal place for great Holiday! Wonderful atmosphere, hospitality, openness and support at any time! ." "Excellente localisation a quelques minutes à pied du centre historique. Vue panoramique extraordinaire, appartement très agréable et bien aéré. ."
"Appartement très propre et moderne, calme avec vue sur mer et très proche de la plage, avec tout à proximité. Nous avons passé un très agréable séjour avec nos 2 enfants. Les propriétaires sont très sympathiques offrant un très bon accueil. ."
"L\'appartement Epidaurus1 à Cavtat est tout neuf, bien équipé, très propre et très confortable. Terrasse avec vue sur la mer. Les propriétaires habitent juste à côté et sont très accueillants et très disponibles. Nous avons passé 10 jours fantastiques et recommandons cette location sans la moindre réserve. ."
"Das Appartement war sehr schön. Wir haben uns sehr wohl gefühlt....und die Leute waren super nett. ."
"L\'appartement que vous nous avez proposé était idéalement situé au pied des remparts. La vue était splendide. La propriétaire, agréable et sympathique, a été très dévouée durant tout le séjour. Même si la décoration était un peu vieillote , tout le confort était présent. Nous avons passé un très agréable séjour à Dubrovnik. Je le recommande.."
"Sehr schönes & großes Appartement. Großer Balkon mit Blick aufs Meer und sehr guter Lage zu Strand, Shops, Bars, ... ."
Beautiful apartment, beautiful place, beautiful people! "L\'accueil est très chaleureux . L\'appartement est plein de charme, dans la vieille ville. . On s\'y sent vraiment très bien . De plus cette maison garde toute sa fraîcheur la nuit, on n\'a même pas besoin de la clim. ."
"Brilliant apartment, stunning view and the best hosts in Croatia! ." "Schon bei der Ankunft wurden wir sehr herzlich empfangen.Alles hat 100% gepasst.Schlafzimmer,Terasse wunderbare Aussicht und die Ausstattung ist für ein Aparteman wir geben 3 + Sterne. Einkaufsmőglichkeiten sind gegeben zwar etwas vom Haus MIRO entfernt aber spazieren gehen ist ja gesund. Unsere Gastgeber ein Super Paar.Sie tuen alles damit sich Ihre Gaeste wohlfühlen. Fals Gaeste lust haben zu zb. einer Segelbootfahrt oder beratung zu Ausflügen ,kann ich nur sagen\"nicht verzagen Miro fragen\" Eine Besonderheit zu unserem Gastgeber Herrn Miro Sinovcic ist .......(wird nicht veraten,wer schon mal in Barcelona war wird es herausfinden) Nochmals ein grosses Dankeschön an Familie Sinovcic ! Mario.Elisabeth,Antonio,Sandra,Domonika und Siggi aus Ungarn ." "Great apartment and wonderful host. Location is ideal (~10 minute walk to old town and beaches. Fabulous view from the terrace; the apartment has everything necessary for a great stay. ."
"Appartement entspricht der Beschreibung. Es ist ein eigenes kleines Haus. Bade- und Schlafzimmer sind sehr modern mit LED Leuchten ausgestattet, sehr romantisches, verspieltes Design. Die Küche ist praktisch, es hat alles für die leichte Urlaubsküche. Im Garten unterm Feigenbaum kann man das Frühstück geniessen oder den Tag ausklingen lassen. Das Appartement zu finden war nicht ganz einfach, aber durch die Hilfe der Leute in der Nähe, dann doch schnell erreicht. Aldo spricht gut deutsch, Das Apartan Aldo 1 und 2 soll bald gleich heissen wie das Restaurant/Bar \"\"La Vela\"\", das auch zur Familie gehört. Das Essen ist sehr sehr gut! ." "The apartment was lovely, a perfect get away for anyone wanting a relaxing, quiet holiday. It was clean, a good size for 2, with brilliant air conditioning. The owners were really lovely and approachable. They went out of their way to make sure we had a good time. The island is very close to Dubrovnik and other islands if we fancied something a bit more lively. Some of the coves we found on our walks round the island looked a lot like Thailand. We had a fantastic time, thank you! ." "Super. Propriétaires géniaux. Appartement bien situé et très propre. Vacances géniales! ." "Very nice ! The view was fantastic and the owner was helpful and very nice. ."
"We have just returned from our holiday at Villa Neva in Arbanija and had to write to say how much we all enjoyed ourselves. The appartment was lovely - beautifully situated - spotlessly clean with everything we needed. Neva was charming and incredibly helpful. We look forward to a return visit - and of course the weather was amazing - unlike the weather in the UK at the moment. Regards Jill Tanner ." "A wonderful apartment, with an incredibly friendly and helpful owner. Marija will do everything to ensure you have a good time. She invited us into her side of the house (the apartment is part of a larger house that has been split) for homemade cheesecake! The apartment boasts gorgeous views of the old town and the sea - this results from it being quite high up (about 300 steps from the town to be exact). We enjoyed walking off big dinners in this way. I rated the beaches slightly lower so prospective travellers are aware that they are rocky rather than sandy beaches. The sea is beautifully clear though! And if you enjoy swimming you should definitely check out \"\"the dead sea\"\" on Lokrum island (a gorgeous secluded lake with a rope swing). But back to the apartment - it was full of character and charm (as well as housing everything you\'d need). It was very quiet. We never had a problem sleeping. I would thoroughly recommend Marija\'s apartment. Thank you for a lovely stay. ."
"Nice appartment. Ideally located. The owner is really nice and gave us a lot of advice. ."
"Spacious, spotlessly clean, amazing views. Lovely owners made us feel really welcome. A minute from the beach but totally secluded and quiet. I\\\'d stay again. ."
"Sehr schöne und Moderne Möbeln. ."
"Budeme se rádi vracet.... ."
"Děkuji agentuře Croatica a panu Ivanu Orebovi za možnost prožít 14 dnů na krásném ostrově Koločep. ."
"Ottimo, ben organizzato, vicino alla spiaggia, proprietario gentilissimo!! ." "Proprietario molto gentile e disponibile. Appartamento spazioso e confortevole. Molto buono. ."
"It was excellent appartment with new furniture and renovation. It\'s good location, close to the beach. So we liked our stay there. ."
"Beautiful apartment with an amazing view over the sea, superb location, lovely beach and a nice choice of restaurants, we were just out of season so we had the swimming pool to ourselves, I thoroughly recommend this apartment and hope to come back again next year, many thanks! ." "Sehr hochwertig ausgestattet, sehr liebevoll eingerichtet, sehr zuvorkommende Gastgeber. ."
"Grazie per l\\\'ottimo servizio. Ci siamo trovati benissimo: l\\\'appartamento era molto carino ed il posto barca comodissimo. I padroni di casa molto simpatici e gentilissimi. Sicuramente mi farò sentire anche per la prossima estate! ." "Apartment East was delightful. I would definetly reccommend it to a friend. Our hosts were very friendly and helpful with our luggage and any information we needed about ferries etc. The balcony looked out over the harbour and all the equiptment in the flat was clean and useful. The apartment was very clean and light. The location was lovely although up a bit of a hill - there was a ramp most of the way up from the harbour so that we could easily wheel our luggage for most of it. The beach was lovely and sandy with clear water for swimming and very safe for small children as it was shallow. We would rate everything at 5. We would trust Croatica for our next holiday rental. Many thanks for all your help. ."
"I want to thank you for our the most beautiful holidays, Dubrovnik is the most beautiful city we´ve ever seen. The location was excellent, we had really amazing view from Apartment Lukre 1 to the old town and Lokrum island and had everything nearby - beach, the city centre, port... We spent our holidays active - visited city walls, fortresses, Elaphite islands, Lokrum,... also every day we were swimming in the sea – sometimes the beach (Banje) was overcrowded. Apartment Lukre1 was nice furnished, Mrs. Maja Novak was very kind and always helpful, she gave us a lot of useful information about the city and surrounding area. Please give Mrs. Maja our thanks for everything. Thank you very much for your excellent service, you always answered our questions and handle all of our satisfaction. We spent unforgettable holidays! ." "Nous avons fait un séjour remarquable de 7 jours en début juillet 2011 à l\'appartement Rose de Villa Palada. 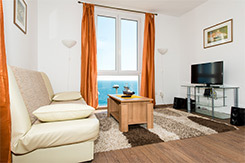 La localisation de l\'appartement est excellent avec une superbe vue sur l\'Adriatique. Les services et équipement offerts étaient impeccables pour une famille (4 personnes). Sans hésitation une note d\'appréciation globale de 5 (score de 5). Madame nous a accueilli comme des amis de longue dates (apéritif, conseils pour visiter la région, etc.). Sans hésiter nous conseillerons cet appartement pour des amis. Nous ne connaissions pas le site de Croatica, mais souhaitons l\'utiliser une prochaine fois pour toute nos réservations..Merci encore!." "Apartment and its owner were wonderfull. Maria is a nice woman, she was very kind with us And I want to tell you that it was an excelent decision for us. We liked very very much everything. The days we stayed there were one of the most beautifull pleaces we stayed. I want to tell you thank very much for your recomendation. I would absolutely recommend this apartment to a friend, it is beautifull, clean and charm. Everything was perfect. So finaly I hope to return some day again ." "My friend and I enjoyed very much our stay at Apartment Marija. The apartement was lovely, with everything we needed, and clean. The staff were very kind and helpful, giving good advice about night life, touristic sites, transportation, etc.. Although a bus ride to the center, the bus stop was just by the apartement and buses passed about every ten minutes. There is a lovely pavillion close by which leads to a nice beach with cafes and restaurants.."
"L\'APPARTAMENTO E\' STUPENDO. E\' CONFORTEVOLE E ARREDATO CON MOBILI NUOVI DI OTTIMO GUSTO E FUNZIONALI. LA POSIZIONE E\' IDEALE PERCHE\' TRANQUILLA. I PROPRIETARI SONO DELLE PERSONE FANTASTICHE, CORDIALISSIME E GENTILISSIME. Le preciso che ho votato 5 per tutto (che è il massimo) e che l\'appartamento (e i proprietari) meriterebbero il 10 con lode (che è il massimo voto in Italia). ."
"Appartement de standing, neuf, très propre, à 30m de la plage, très calme. Merveilleuse vue sur la mer et les îles depuis le balcon, idéal pour prendre le petit déjeûner. La plage est très bien en regard de l\'ensemble des plages que nous avons vues en Croatie, et surtout elle n\'est pas surpeuplée. A partir de l\'appartement, il est possible de rayonner jusqu\'à ZADAR, SIBENIK, la KRKA, SPLIT, OMIS, etc... Lieu de séjour idéal.."
"Nous avons été très satisfaits de l\'agence Croatica. L\'agence nous a proposés de nous envoyer des photos supplémentaires ainsi que toutes les informations dont nous avions besoin et a ensuite tout fait pour que notre arrivée se passe le mieux possible. Appartement idéalement situé, au calme avec une vue superbe sur la mer et à seulement 20/25 minutes à pied de la vieille ville. Il y a tout ce qu\'il faut (lave-vaisselle, vaisselle, lave-linge, climatisation, téléviseur...) et l\'appartement dispose d\'une terrasse. Il y a également une plage magnifique à seulement 5 minutes à pied. Les propriétaires sont très charmants, ils ont pris le temps de nous indiquer les monuments à visiter et les restaurants où aller. Nous avons passé des vacances très réussies!." "It was a lovely holiday. I think, one of the best I ever had. I would definitely recommend the apartment to a friend. it has very nice view, the location is very good, it is very clean and peaceful. Also, the owners were very nice people and they made our stay enjoyble by bringging us into the croatian life style. CROATICA did a very good job indeed. Many thanks for your support and keep up the good work :) ." "L\'appartement refait à neuf est très agréable, sdb cuisine salon chambre, rien à redire : c\'est parfait ! Le balcon permet de profiter du cadre depuis chez soi, c\'est un réel avantage. A recommander les yeux fermés. ."
"Senza ombra di dubbio che consiglierei ad un amico e/o familiare questa casa.. E\' un alloggio spettacolare, consigliatissimo. Mi affiderei al 100% di CROATICA.. Una gentilizza e disponibilità UNICA. Equipaggiamento merita più di 5. Ottimo, niente da dire.. C\'era di tutto e di più.. Complimenti. Posizione ideale per coloro che amano il mare, la tranquillità. Le spiagge molto belle, pulite, sempre piene di gente.. Forse erano un pò piccole ma son dettagli, niente di importante. Era tutto perfetto. Le stanze comodissime, il bagno molto spazioso, la cucina ideale.. Tutto perfetto. ."
"Probably one of the best location you can find in Dubrovnik, 150 meters from the Stradum but just enough tucked away from the moise so that it is a very quiet area. One of the only appartment offering a great terrasse (for 10 people). Very good service and support from the team at Croatica .."
"Io ed i miei amici siamo rimasti molto soddisfatti degli appartamenti d Sveti Kriz, il proprietario è stato gentilissimo, la casa è ben arredata e dotata di tutti i comfort la posizione molto buona ed anche la spiaggia noi daremmo un bel 5/5 a tutte le vostre domande, grazie per avercela consigliata e probabilmente ci torneremo! ." "The apartment was in a great location, with great views and close to the town centre. It was clean and we had everything that we needed. The hosts were also very friendly to us and extremely accommodating when our flight got cancelled. We were very happy with the service from CROATICA and would definitely use it for our next rental in Croatia. The apartment was very clean and well equipped and the terrace was also very pleasant. Location was perfect.."
"We really enjoyed our stay and found the people of your country to be very approachable and helpful! I would be happy to reccomend the apartment to a friend. Loved watching the ships coming into the port and the apartment stayed cool because of its position. Clean apartment, good space for a couple and quiet, value for money. I would also trust Croatica again, I found dealing with you over the internet very easy!." "Exactly as advertised. Nice, spacious bedroom with a TERRIFIC view. Beds were just okay and could have used some comfortable outside seating. Overall I would completely recommend this apartment to anyone looking to stay in Dubrovnik. ."
"Volevo scriverle per ringraziarla per la disponibilità e per il servizio offerto da Croatica. La vacanza è andata molto bene e anche le sistemazioni offerte sono state molto piacevoli. Consiglierei sicuramente ad un amico ognuna delle sistemazioni offerte e mi affiderei sicuramente a Croatica nel prossimo viaggio. Appartamento molto carino e con un bel patio esterno in cui si può cenare in assoluta tranquillità. L appartamento è dotato di tutti i confort. I proprietari sono molto disponibili. La posizione è molto buona, nelle vicinanze della città vecchia. La spiaggia è un pò distante ma il servizio di autobus è molto efficiente.."
"Welcoming apartment, well situated, wonderful everchanging view of the harbour, and very clean. ."
"Ci siamo trovati benissimo, l appartamento molto carino e pulito i proprietari fantastici, la sto consigliando a tutti per l acqua di mare è bellissima, preferivo solo la spiaggia di sabbia però devo dire che siamo stati benissimo. Sono rimasta molto contenta.."
"MOLTO CURATO, PULITO, FORNITO DI TUTTI I COMFORT, ABBIAMO APPREZZATO MOLTO LA TRANQUILLITA\' DEL POSTO..PROPRIETARI GENTILISSIMI. ."
"It is perfect, owners are very very nice. the view is nice also. we keep a very good memory of our holidays!." "Très bien pour l apartement, propriétaire très accueillant et très gentil. A conseiller pour d autres personnes. ."
"A perfect house in the center of old town, 5 minutes from the fantastic beach.."
"Appartamento molto ben curato con splendida vista sul mare e in ottima posizione per vicinanza ai servizi e al mare.."
"Volevo scriverle per ringraziarla per la disponibilità e per il servizio offerto da Croatica. La vacanza è andata molto bene e anche le sistemazioni offerte sono state molto piacevoli. Consiglierei sicuramente ad un amico ognuna delle sistemazioni offerte e mi affiderei sicuramente a Croatica nel prossimo viaggio. Appartamento East c`e splendida vista sulla baia di Kolocep. L\'appartamento ha un balcone molto ampio in cui si può cenare ed ammirare il tramonto. I proprietari sono molto disponibili e cordiali. Il posto è davvero tranquillo e rilassante.."
"IL TEMPO SULL\' ISOLA DI CIOVO SCORRE VELOCISSIMO, TRA UN MARE PULITISSIMO, CON DEI COLORI MERAVIGLIOSI, E PINETE DOVE CI SI PUO\' ABBONDARE BEATAMENTE ALL\' OMBRA DI UN ALBERO. CASA IN PERFETTE CONDIZIONI, ARREDATA CON GUSTO, CON UNA TERRAZZA MERAVIGLIOSA DOVE SI POSSONO TRASCORRERE DELLE SERATE PIACEVOLISSIME, SIA PER L\' AMPIEZZA DELLA STESSA, SIA PER L\' INCANTEVOLE PANORAMA. I PROPRIETARI SONO STATI GENTILISSIMI, DISCRETI E GENEROSI ( IL VINO E LE GRAPPE CHE CI HANNO FATTO TROVARE AL NS. ARRIVO ERANO OTTIME ) , PURTROPPO PER VIA DEL MIO INGLESE SCADENTE NON HO POTUTO INTAVOLARE NESSUN DISCORSO ( PECCATO ). INOLTRE A POCA DISTANZA C\'E\' TROGIR, UNA BELLISSIMA CITTADINA DOVE SI MANGIA BENE E DOVE SI POSSONO FARE LE ORE PICCOLE IN COMPAGNIA DI BELLA GENTE. SICURAMENTE CONSIGLIEREI AD UN AMICO IL VS. SITO PER LA VS. PROFESSIONALITA\' E DISPONIBILITA\'. CORDIALI SALUTI. ."
"Very nice, clean and well equipped. Nothing is missing and it\'s very quiet. The view from the flat is amazing (on the sea and the Island Ciovo) ." "Innanzitutto vorrei ringraziare Croatica per averci suggerito questo splendido appartamento che consiglierei a tutti. Sembrava di essere in un paradiso terrestre: la casa è immersa nel verde con una piccola pinetina, dotata di sdraio e barbecue dove poter fare delle rilassanti sieste; ha l accesso diretto al mare (ovviamente scoglio, in Croazia è molto difficile trovare la sabbia) e la mattina avevamo la fortuna di svegliarci con il rumore delle onde che si infrangevano sugli scogli. Il posto è silenzioso e l appartamento è dotato di tutti i confort. La signora Paula e suo marito Ivan sono due persone carinissime. Il giorno della nostra partenza avevamo le lacrime agli occhi: impossibile rimanere indifferenti davanti a un simile spettacolo della natura....ci torneremo sicuramente!!! !Grazie ancora Croatica, sarai il nostro riferimento per le nostre future vacanze in questa terra meravigliosa....Ciao, Stefania (30 anni), Fabio (33), Andrea (31) e Francesca (28).."
"L appartamento è molto molto carino pulito e confortevole. I padroni di casa sono delle persone deliziose e accoglienti.."
"Grande Ospitalità dei Proprietari(in particolar Modo del figlio ). La posizione dell’appartamento è Buona ed il mare è stupendo. Per chi vuole divertirsi c’è una bella discoteca(molto grande) a circa 4 km. Il collegamento da Spalato è comodo anche se molto trafficato. L’ultimo tratto per arrivare all’appartamento è sterrato per circa 1 km quindi sarebbe ottimale asfaltarla. Però, nel rapporto Qualità/Prezzo va bene! ." "The apartment was the ideal place for us, not very far from the supermarket, post offices etc. We had the choice between several beaches on the East or West side which could be reached by foot. The apartment has also a wonderful view from the big terrace from where you can see the sunset and the sea. There are even 3 bikes belonging to it which can be used at any time and without paying additional fees. The owners are very friendly and eager to help you in all kinds of situations. We would love to come back. ."
"The moment we walked into the apartment we fell in love with it. It is very clean, comfortable and well equiped in a fantastic location justminutes away from the Old Town one way and the beach the other. Apartment Sara was a wonderful base for an amazing hoilday in a beautiful place and we can\'t wait to go back!." "I just got back yesterday from Croatia. My friend and I absolutely loved Apartment East. It was so relaxing sitting on the balcony enjoying the stunning view at all times of the day. Wonderful sunsets!! There was just enough room for both of us not to feel cramped or in each others way too, so that was good.Absolutely recommend 100%.."
"The appatment was perfect ,clean,air -conditioning ,near the old DUBROVNIK center. Madam very frendly, very smilling, adorable, big pleasure to stay in her flat , perfect,nothing miss,no problem to recommend this flat for friends. We can trust on Travel Agency Croatica. ."
"The apartment was comfortable, clean, newly renovated, well equipped and had everything we needed for our 6 days stay. The apartment was just a short distance outside of the old town, but away from the tourist noise. Excellent location. The location beach club was great. We enjoyed the facilities very much. The food and service was excellent. CROATICA provided excellent service to us in finding a holiday rental.."
"It was very clean, the bed was extremely comfortable and the bathroom excellent. I often go to Greece and have never had such a good apartment there. The view was magical so the location was perfect. The price was just right. Much better than staying in a hotel. We really had the best holiday ever. I have attached a photo I took from the balcony. We spent a lot of time on the balcony watching the ships go by and enjoying the view. Thank you so much for your hard work. We look forward to coming back again next year and will definitely book the same apartment. ."
"We would definitely recommend this apartment to a friend. Our impression of the apartment: The owner was very helpful and the apartment was very c lean and well equipped with everything that you need. The shower facilities all worked very well. The apartment is really charming, in a lovely quiet area of the Old Town within easy reach of lots of tourist attractions and with its own restful balcony area. Owing to its fantastic position with a great view of being near to the city wall of Dubrovnik, the apartment can only be reached by climbing a number of steps. We really enjoyed this unique position as it lent the apartment atmosphere and also peace and quiet! but this fact that you have to walk quite a number of stairs to reach it, may need to be in the information about the apartment so that future renters know that. We would trust CROATICA with a future rental on the basis of this experience. ."
"We had a wonderful stay in Dubrovnik and really enjoyed Apartment Mare which is very well situated. In fact I do not think I spotted a better location for us. It was nice not to have to climb dozens of steps but just stroll up a gentle inclined road. The ground floor apartment which we stayed in was very well fitted out, was comfortable and fulfilled all our needs. The one drawback was it was a dark and I do like the light. When we were there we viewed the apartment on the first floor and we thought that was superb. Sennen, the owner, was fantastic - she was very helpful and informative, and we feel she is a new friend.During the booking process, whenever I contacted you by email you were extremely helpful and quick to respond and I cannot fault your service. It was excellent. ."
"The apartment was perfect - it had everything we needed or wanted. It was very clean and new. The location was very quiet, ideal to just kick back and relax. The land lady was helpful and friendly. I would definitely recommend this apartment to friends and relatives. ."
"I thought the apartment was very nice. It had everything I needed. Marija and her parents were extremely welcoming, but not at all intrusive. They allowed me to move in early on the day I arrived, which was really helpful, and they were fine about waiting for the final 30 Euros, which I had to get changed in the town. Marija speaks excellent English, which makes things a lot easier. I would certainly recommend the apartment to a friend. It was near to the centre of the old town, but because it was above the town it was nice and quiet. I have rented other apartments through the same web site and have never had any problems. ."
"A delightful apartment in a charming island. I left a little piece of my heart in this island.."
"L`appartamento era molto bello, sicuramente da consigliare, buonissima posizione, abbastanza vicino alla spiaggia. Lunico appunto da fare è relativo allequipaggiamento, un pochino povero, soprattutto per la mancanza della lavatrice. comunque siamo stati benissimo e ci affideremo ancora a croatica per un eventuale ritorno in Croazia.."
"La casa è perfetta e la proprietaria davvero affabile e disponibile.La posizione dellappartamento è ottima per accedere alle spiagge più belle...è vicinissima a Trogir bellissimo borgo medievale. Spiaggia:quella piu vicina dista meno di un km ed è bellissima... Appartamento:perfetto pulito curatissimo fornito di ogni comfort e molto spazioso. Non ho avuto alcun tipo di problema con Croatica...sono stati veloci e chiari anche per i pagamenti.."
"Appartamento comodo e completo di tutto il necessario, ambiente famigliare , proprietari cordiali e sempre disponibili. appartamento in ottimo stato. Posizione : buona. paese tranquillo con tutto il necessario. Spiaggia :vicina ; anche le spiagge migliori sono a pochi minuti di macchina.."
"L`appartamento è molto bello, curato e pulito. C è tutto quello che serve per una vacanza. I propprietari sono stati molto disponibili e discreti. Consiglierei questo appartamento ad un amico. La posizione dal mare è discreta.."
"Ci siamo trovati molto bene con la casa e soprattutto con i proprietari che sono stati molto gentili. Consiglierei di andarci ad un amico anche se le spiagge per i bambini piccoli non sono il massimo a okrug donji intendo cmq tutto bene. ."
"Nonostante gli interni dell’appartamento siano confortevoli e ampi, la chicca di quest’alloggio è il terrazzo, molto ampio e vista mare che, nella stagione estiva, consente di fare colazione, pranzare, cenare e rilassarsi. Insomma, gli ambienti interni servono solo per cucinare e dormire. Il mare è sotto casa e la suggestiva città di Troghir dista solo 3 km, cinque minuti d’auto. Il proprietario parla l’italiano quel tanto che basta per scambiare qualche chiacchiera; persona cordiale ci ha dato diversi suggerimenti su sagre e feste che si svolgono nei dintorni.Certo che consiglierei la casa vacanza in oggetto ad un amico!." "L`appartamento è davvero bello fornito di tutto e non abbiamo avuto nessun problema durante il soggiorno. La ringrazio vivamente per avermi aiutato durante la prenotazione. ."
"The apartment is well equipped, also with new furniture. It was also very clean on our arrival. We, especially, enjoyed the area outside the apartment and the comfortable barbecue area.."
"La nostra impressione della casa in cui siamo stati non può che essere positiva, siamo stati benissimo e il posto è veramente incantevole oltre ad essere molto tranquillo e poi ci siete voi, due persone veramente gentili e simpatiche.In quanto alle domande comincerò dalla prima: la mia risposta naturalmente è si la consiglierei ad un amico, in realtà lho già fatto.Si mi affiderei di nuovo a Croatica per le mie vacanze ma solo ad una condizione: che la casa mi venga concessa in un periodo che va dal martedi al martedi e non dal sabato al sabato come si fa di solito e questo proprio per il fatto che tutti partono in quei giorni e quindi il viaggio diventa unapocalisse io per esempio ho impiegato 17 ore per arrivare li da casa mia quando in realtà ce ne vogliono 7 in questo modo ti rovini le vacanze perchè fai il pieno di stress difficilmente smaltibile in poco tempo inoltre perdi 2 giorni come è capitato a me che sono arrivato il sabato alle 23,00 e sono ripartito il sabato successivo alle 4,30 del mattino.Per il resto posso rispondere a tutte le altre domande con un unica risposta anzi con un unica parola: Divino.Ora vi saluto e mi auguro di ricevere ancora le vostre mail oltre che rivedervi il prossimo anno. CiaoPS vi ho allegato 2 foto.."
"Oltre a rispondere alle domande di cui di seguito, ci tengo a ringraziarla per la Sua professionalità. Il soggiorno in Croazia è stato oltremodo piacevole, i proprietari degli appartamenti si sono rivelati persone cordiali, gentili ed ospitali; gli alloggi confortevoli e puliti. Ebbene posso affermare che le informazioni dell’agenzia CROATICA sono attendibili, pertanto, mi affiderei e mi affiderò alla agenzia in questione per i miei prossimi viaggi. Le camere sono ampie, nuove ed arredate con stile. Ognuna ha un bagno di pertinenza, un ampio armadio, un comodo letto matrimoniale, una scrivania, il televisore con l’antenna satellitare, l’aria condizionata e il frigorifero. Entrambe le camere affacciano sul giardino di appartenenza dell’abitazione consentendo il più assoluto silenzio. Agli ospiti è consentito fruire sia della cucina che del giardino posti al piano sottostante le camere. Dalle finestre si ha una splendida veduta del mare e del castello di Dubrovnik. La location è provvista di parcheggio privato ed è sita a 5 min. a piedi dalla città antica, pertanto non c’è bisogno di muoversi con l’auto. La spiaggia non è molto vicina sebbene questo non risulterebbe uno svantaggio in quanto è consigliabile spostarsi sulla costa verso Ragusa, a sud di Dubrovnik per vedere graziosi paesini e scoprire delle meravigliose calette.Le porgo i miei più cordiali saluti e l’auspicio di poter usufruire nuovamente del Vostro servizio.."
"We just returned from Croatia and have had a very good time there. Your country is beautiful !!! We really appreciated the apartment MARIO in Ciovo, with very welcoming owners. ."
"Apartment was clean and had everything that we needed. The sofa bed for our children was excellent. However the view from the terrace was stunning. We really enjoyed sitting on the terrace in the morning and in the evening. The family we really nice and made us feel very welcome. We would absolutly choose Croatica again and we would like to thank you in particular for all the help you gave us. We will come back again and when we do we will contact you for help in finding accomodation.."
"Equipaggiamento: Ottimo, mancava solo la macchinetta del caffè italiana (non siamo riusciti a trovarla in Croazia).Posizione: Vicina alla spiaggia e vicina a Trogir, che raggiungevamo in motorino (consigliato poiché c’è molto traffico per la città). Spiaggia: Piccola ed affollata, anche se il mare era molto bello. Inadatto per chi non sa nuotare poiché molto profondo.Molto bello l’appartamento, moderno ed arredato con gusto. Bellissima la vista dalle terrazze (molto ampie). ."
"The air conditioning was excellent and essential. Really spacious and everything we needed was there. beautiful view and great location so close to old town. Loved every minute of our holiday! !Thank you very much. ."
"This close to the centre and is a quiet area. No need to drive. We were very good. The apartment is great, also the bed space is cozy and magnificent terrace. It was not missing anything. I return to it. Thank you for everything and goodbye. ."
"Three of us booked the Sunset and Olive studio apartments on Kolocep for 2 weeks in August 2008. There are so many things to say but above all we valued the warmth and kindness of the people whose apartments we stayed in. We were met from the boat and the welcome could not have been warmer and kinder. Help with our bags and a friendly welcome to the beautiful apartments marked our beginning. The kindness and warmth of the family (who lived downstairs) truly marked the holiday for us. They made us feel like friends and not strangers and gifts like fruit from the garden made this a treasured experience. The apartments could not have been nicer, beautifully maintained and presented, it was lovely to sit inside or outside on the balconies and enjoy the views. Whole experience , whether we were walking on the Island , swimming, sunbathing , visiting another Island or going into Dubrovnik was a pleasure. Our thanks to you for all the help you gave in arranging the holiday (first class service , the driver, the boatmen and the family who were so good to us).."
"Jedino fali malo vise umjetne svetlosti, mozda i neki nosac zvuka (radio), sto nama i nije bilo neophodno.U nasem slucaju osvetljenje smo resili sa g-dinom Dankom. Inace sa domacinima kao sto su Vasi prijatelji, odmor moze biti samo uzitak. Pohvalili smo apartman i obitelj Sinovcic najmanje polovini Makedonije. U svakom slucaju nama je hrvatski Jadran favorit za godisnji odmor, a imajuci u vidu Vasu profesionalnost i uslugu, uzecemo slobodu da prvo Vas kontaktiramo kad se opet odlucimo za ovu destinaciju.."
"Imali smo rijetku sreću imati takvu gazdaricu. Takvu gostoljubivost i ljubaznost cijele porodice nismo mogli ni zamisliti. Preporuke dolaze iz i izvan Hrvatske. Svakako planiramo ponovni posjet. Srdačan pozdrav Marko i Branka." "It is very comfortable, and the owners are very kind. All was perfect, we have spent very nice and comfortable days. Thank you very much for all your atention to us.We hope to contact you again.."
"The appartement has new equipment and furnishing. They are very kind and we were like at home. We arrived late in the night after some problems and they received us genial.The views from the appartment are wonderful. They showed us the other appartment upstairs for two or three people and was even better with a fantastic terrace.Trogir is magnificent.."
"The room is large, clean and very pleasant with a gorgeous view on the sea. We had the entire apt to us so that there were no problem to do a little cooking. As for the Croatica travel agency, I would like to command your own work which has been precise, diligent and very important in determining our decision to go to Croatia. I do not forget the part you had in smoothing out a difficulty I had with my money transfer. All in all, we had a very good impression and will speak favorably of your agency and our vacation.."
"We loved Dubrovnik & we loved Apartment Romantic! I would come to Dubrovnik again - it is very beautiful with lovely, friendly people & very nice food!! I really loved the apartment Romantic. It was very clean with everything you could need for your holiday. The location is also fantastic, in the centre of the beautiful Old Town. Thank you for a wonderful holiday. ."